We are an artisan coffee roaster in Northern California. We buy from small farms and cooperatives around the world and our family run company is committed to sustainability. Find out where to buy our coffee or visit our online store. 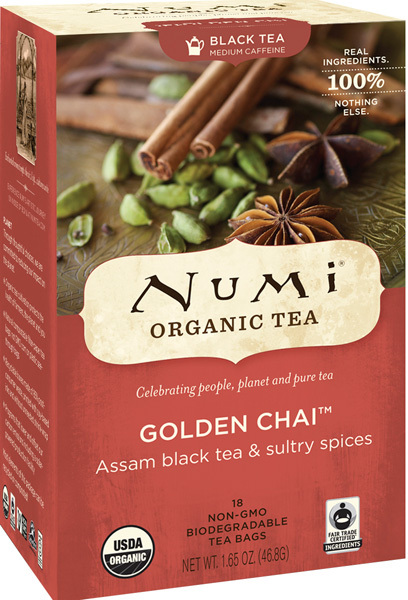 We're proud to partner with Numi Organic Tea to offer premium tea, right here in our online store. 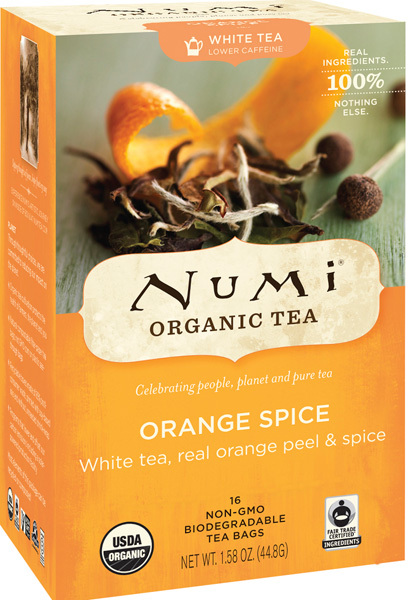 All Numi Tea is Certified Organic and packaged in natural, biodegradable, filter-paper tea bags. 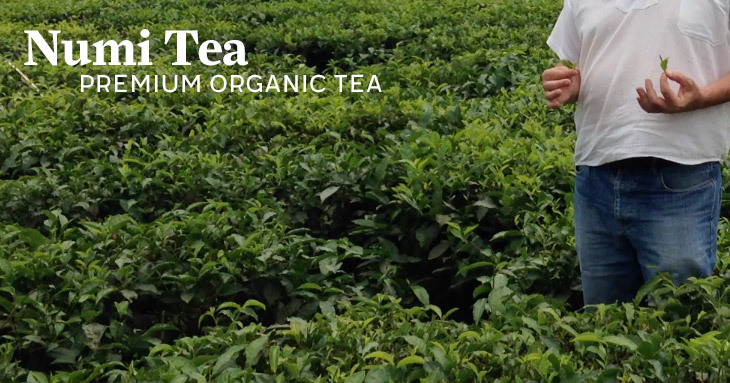 If coffee isn't your game, or you're buying a gift for a friend, organic tea is always a good choice. Buy our gift pack to learn what you like, and then buy a few boxes to stock up. 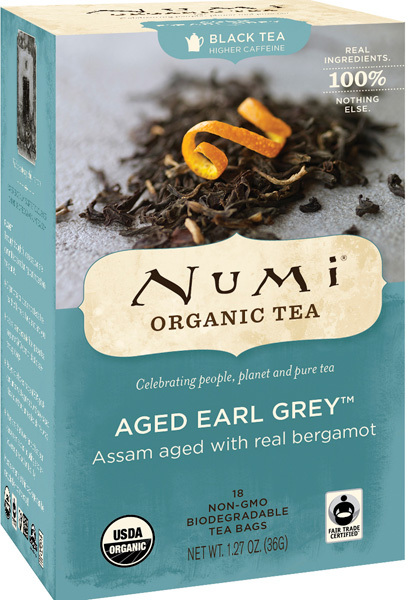 Aged Earl Grey - Assam black tea aged with real bergamot. Organic & Fair Trade. 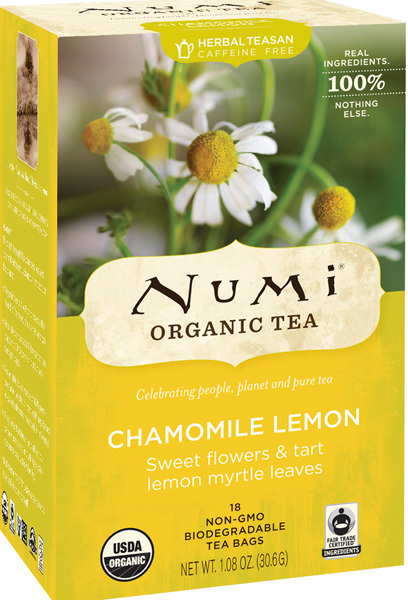 Chamomile Lemon - Sweet flowers and tart lemon myrtle leaves. Organic & Fair Trade. Caffeine Free. 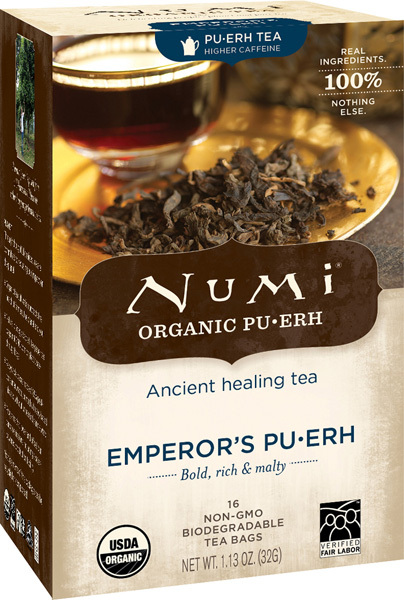 Emperor's Pu•erh - Bold, rich and malty. Organic & Verified Fair Labor. 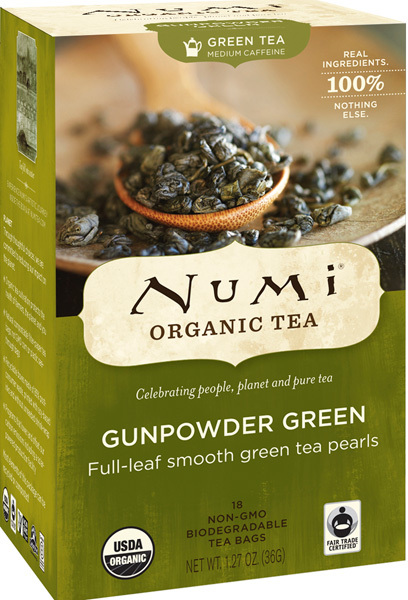 Gunpowder Green - Full leaf smooth green tea pearls. Organic & Fair Trade. 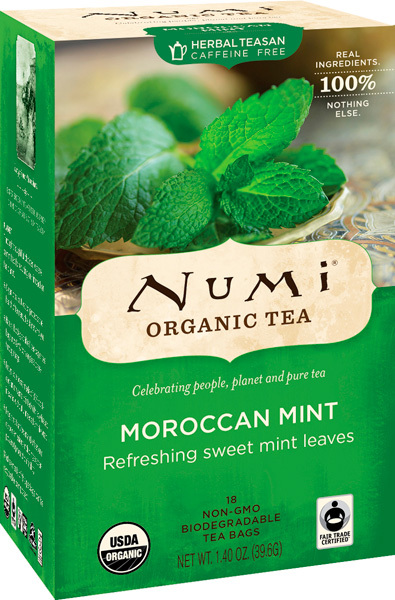 Moroccan Mint - Refreshing sweet mint leaves. Organic & Fair Trade. Caffeine Free! Orange Spice - White tea, real orange peel and spice. Organic & Fair Trade. 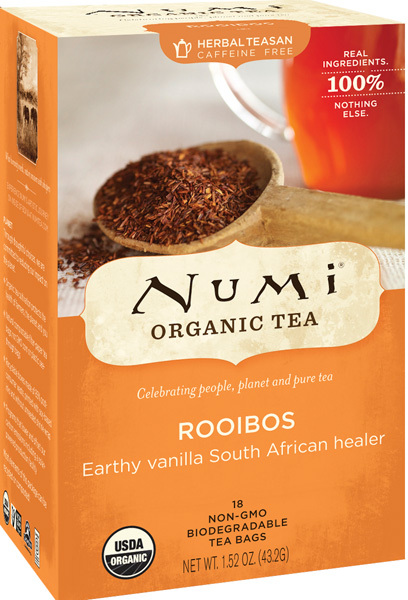 Rooibos - Earthy vanilla South African healer. Organic. Caffeine Free! 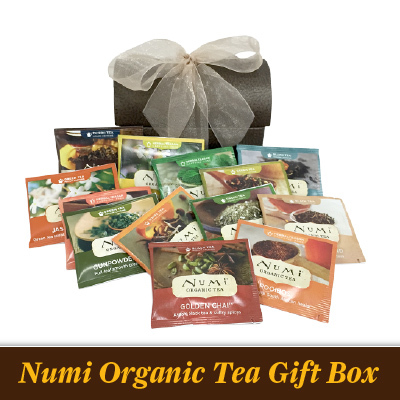 A great way to sample 10 different types of Numi Organic Tea. Makes a wonderful gift for the tea lover in your life. 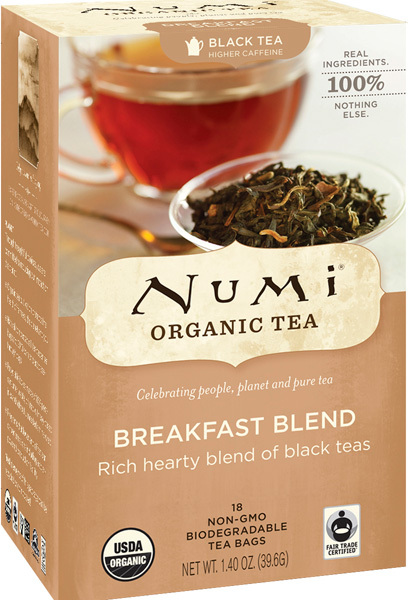 Breakfast Blend - A rich hearty blend of black teas. Organic & Fair Trade. 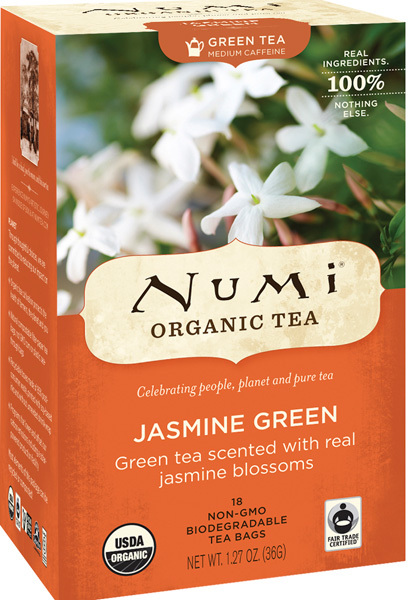 Jasmine Green - Green tea scented with real jasmine blossoms. Organic & Fair Trade.